Biology is the study of life and how biological processes affect our daily lives. Topics of study will include biodiversity, genetic engineering, problems associated with the expanding human population, the origin and diversity of life, functional morphology, ecology, and Darwinian evolution. 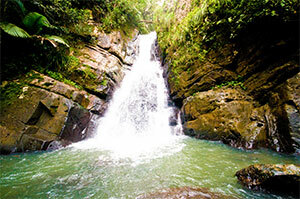 The biology department offers a diversified program that examines the life sciences by integrating multiple disciplines, including the molecular nature of cellular structure and physiology, the evolutionary mechanisms of biodiversity, and the study of plant and animal communities in relationship to the environment. In addition to mastering concepts, students learn to see the biological sciences as a process of discovery in the classroom, laboratory, and through field work. Why Study Biology at VWU? The Early Assurance Program with EVMS gives admission preference to VWU students interested in pursuing advanced degrees. Upon completion of a 4-year bachelor's degree at VWU, students in this program are guaranteed admission in the Eastern Virginia Medical School. 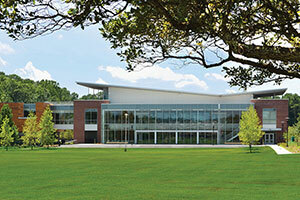 Virginia Wesleyan University students are given priority status into Shenandoah University's Bernard J. Dunn School of Pharmacy for Pre-Admittance and Joint Degree Options. The Pre-Engineering Program offers students the opportunity to earn both a Bachelor of Science degree from Virginia Wesleyan University and a Master's degree in Aerospace, Biomedical, Civil, Compute​r, ​​​Electrical, Environmental​, Mechanical, Modeling & Simulation, or Systems Engineering from Old Dominion University. This 44,000 sq. ft. state-of-the-art facility provides unprecedented opportunities for students while fostering regional collaboration with organizations such as the Virginia Aquarium & Marine Science Center and the Virginia Institute for Marine Science (VIMS). 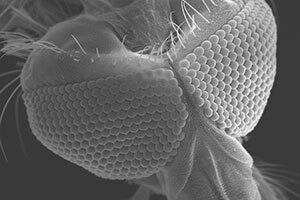 The microscope, the result of a $242,502 grant from the National Science Foundation, is equipped with energy dispersive X-ray spectroscopy, an accessory that enables the user to determine the chemical composition of a specimen. The Chesapeake Bay, one of the largest estuaries in the world, is the perfect setting for Virginia Wesleyan students to engage in research and study. 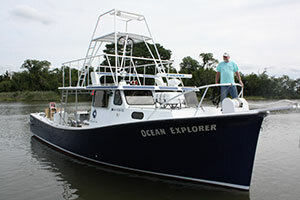 The Ocean Explorer research vessel transports students from land to sea, giving them hands-on experience to examine the historical utilization, ecology and cultures inhabiting the Chesapeake Bay, the human impact on the preservation of this system, and consider different issues affecting the watershed and its future. 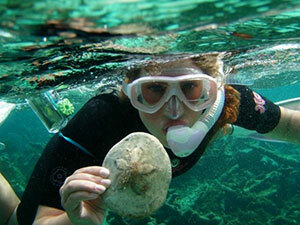 Biology students are offered the opportunity to conduct original scientific research in an area of interest. They work closely with one or more members of the natural science faculty to develop and conduct a research project, then present their findings orally during the semester’s undergraduate research symposium and as a formal research paper. Students are encouraged to present their findings at a conference. Biology students will coordinate internship placement with their supervising faculty member in their junior or senior year. Internships are an intensive study of a specific field of science through an on-site field experience with hands- on learning opportunities that are relevant to the chosen site. Description: This course provides an introduction to the major tropical marine habitats and the ecological processes that control tropical marine ecosystems with focus on coral reefs, mangroves and tropical seagrass beds. The increasing environmental degradation in tropical marine communities are also discussed. The course includes the option of completing an intensive field experience in the Florida Keys or a research paper examining tropical ecosystems such coral reefs, mangroves, or seagrass beds.